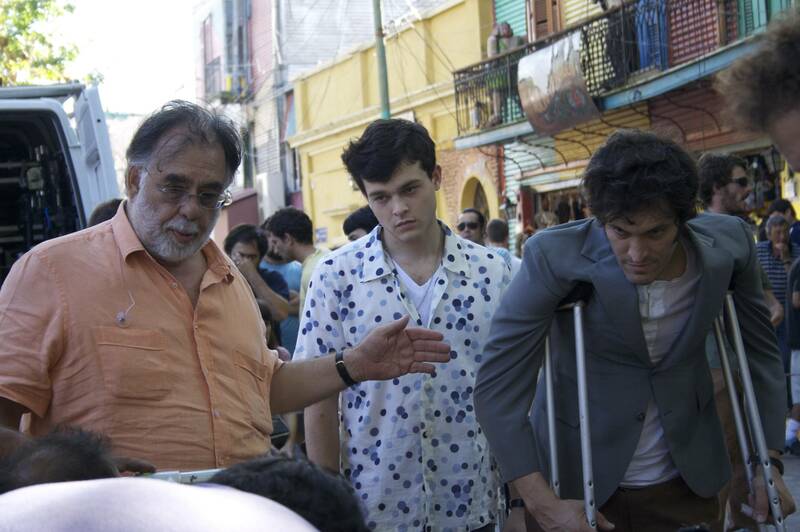 It feels good to see Coppola back in form. Visually inventive, narratively edgy, and unlike anything else. In Francis Ford Coppola's first original screenplay since 1974's "The Conversation," he tells a bittersweet tale of the secrets that haunt a highly creative family. Fresh-faced and na?e, 17-year-old Bennie arrives in Buenos Aires to search for his older brother, Tetro, a volatile and melancholy poet who has tried to leave his family behind. 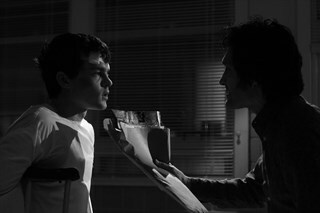 But their reunion is not what either expects, as the two brothers grapple with the unsettling experiences of their shared past. Bennie (Alden Ehrenreich) left and Miranda (Maribel Verd? right. Photograph by Alicia Schemper. 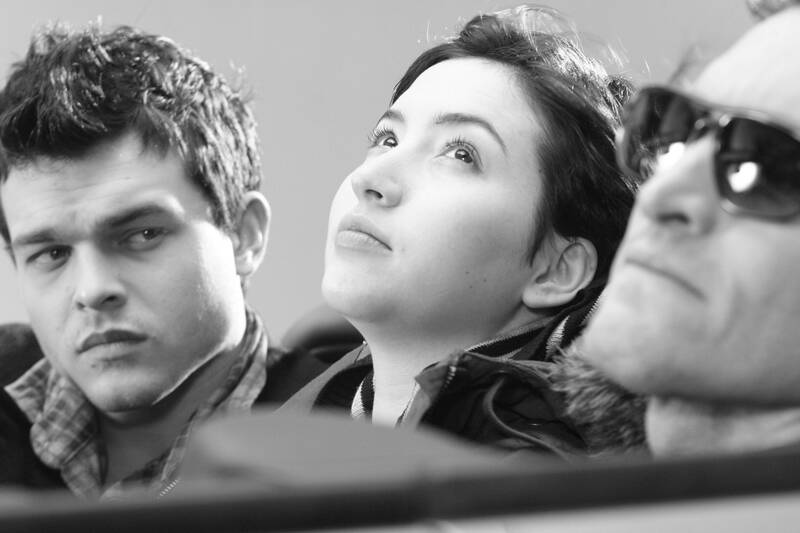 Bennie (Alden Ehrenreich) left , Maria Luisa (Sof? Castiglione) centre and Tetro (Vincent Gallo) right. Photograph by Alicia Schemper. Miranda (Maribel Verd? 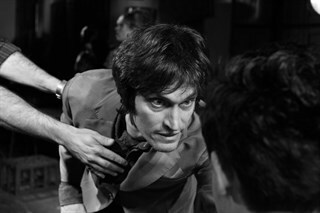 left and Tetro (Vincent Gallo) right. Photograph by Alicia Schemper. 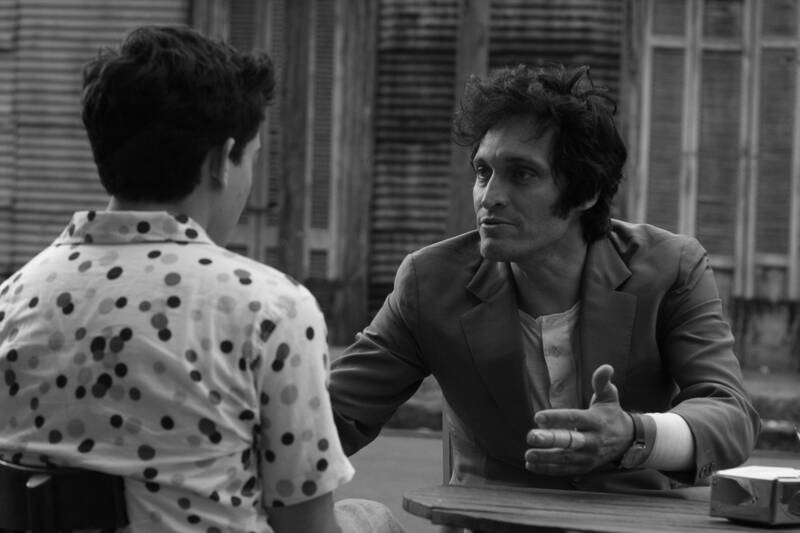 Bennie (Alden Ehrenreich) left and Tetro (Vincent Gallo) right. Photograph by Alicia Schemper. 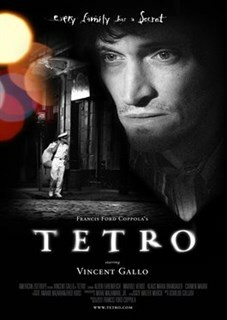 Tetro (Vincent Gallo). Photograph by Alicia Schemper. 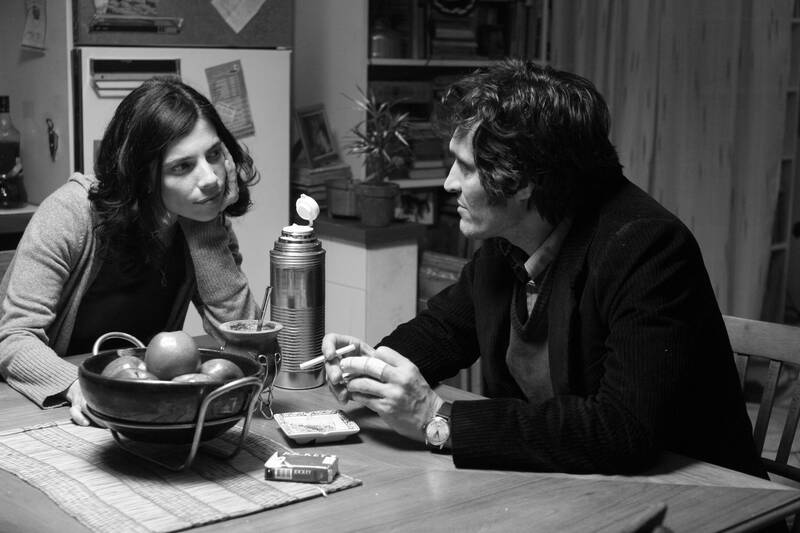 Bennie (Alden Ehrenreich) left, Tetro (Vincent Gallo) centre, and Miranda (Maribel Verd? right. Photograph by Alicia Schemper. 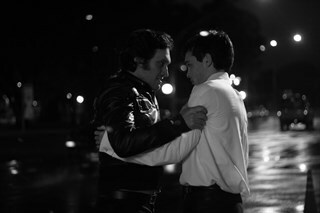 Tetro (Vincent Gallo) left and Bennie (Alden Ehrenreich) right. Photograph by Alicia Schemper. Tetro (Vincent Gallo) left and Miranda (Maribel Verd? right. Photograph by Alicia Schemper. Miranda (Maribel Verd? 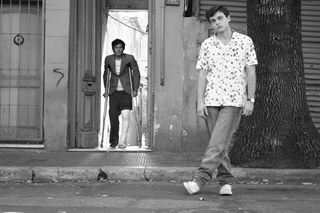 left and Bennie (Alden Ehrenreich) right. Photograph by Alicia Schemper. Director Francis Coppola and actors Alden Ehrenreich and Vincent Gallo. Photograph by Alicia Schemper.